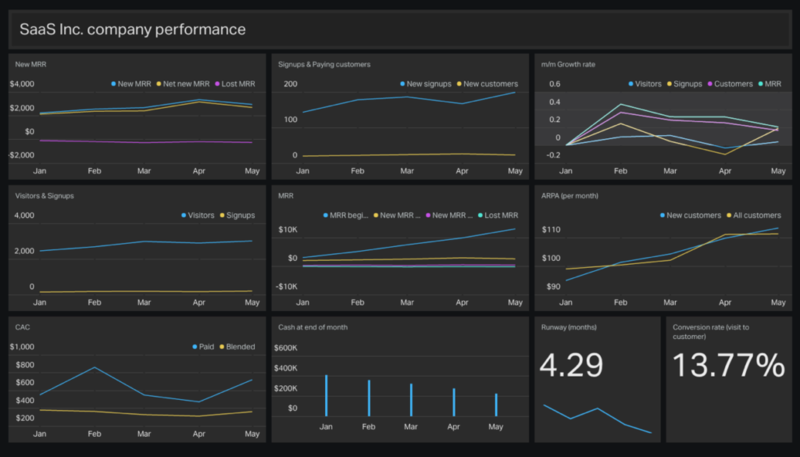 Geckoboard, a live dashboard software that helps businesses focus on KPIs, has released an integration with ChartMogul. Now Geckoboard customers can visualize their subscription metrics everywhere from the boardroom to the sales floor. At ChartMogul our mission is to help you measure, understand, and grow your subscription business. We’re constantly working to provide more ways for our customers to effectively use their customer data and learn from their revenue metrics. Now Geckoboard is helping us out with that. Geckoboard is a dashboard software that provides live status reports from nearly every corner of your business, from DevOps to digital marketing to sales team management. Users can not only monitor and customize these dashboards, but also display them on TVs around the office. 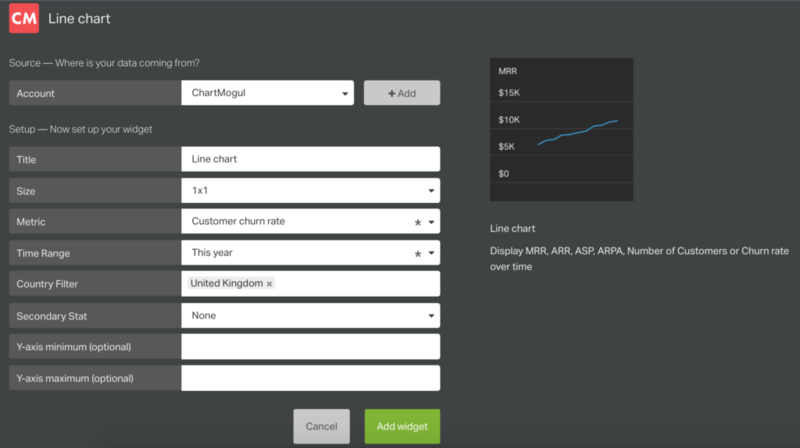 Now Geckoboard has built and launched an integration that allows customers to import key financial metrics from ChartMogul to their Geckoboard dashboards, in the form of a number or line graph. Within Geckoboard you can customize each metric and chart accordingly. Specify the time frame, the country, the currency, and more. The ChartMogul connection within Geckoboard. This means MRR, ARR, churn, and more can all be broadcast to various teams throughout a subscription company. What’s so valuable about that? At ChartMogul we believe when team members have access to the company data, they can better understand how they each impact overall metrics. For example, how does a marketing manager impact MRR, versus a product manager? We actually broke down how each team affects MRR so that SaaS companies can educate (and include) their teams when it comes to metric management. Plus, when individuals understand their impact on company growth and progress, teams can foster a data-driven culture of both ownership and collaboration. And from there, it’s an aligned team effort to move the needle on key metrics. A view of the ChartMogul metrics in Geckoboard, featuring some very impressive dummy data. If you already have a ChartMogul account, get in touch with Geckoboard’s support team for information on setting up the integration. Don’t have an account yet? Try out the ChartMogul integration with a 30-day free trial. Sign up with us, connect your billing system with just one click or build your own connection with the ChartMogul Import API. If you haven’t tried Geckoboard yet, give it a spin with their 30-day trial, too.